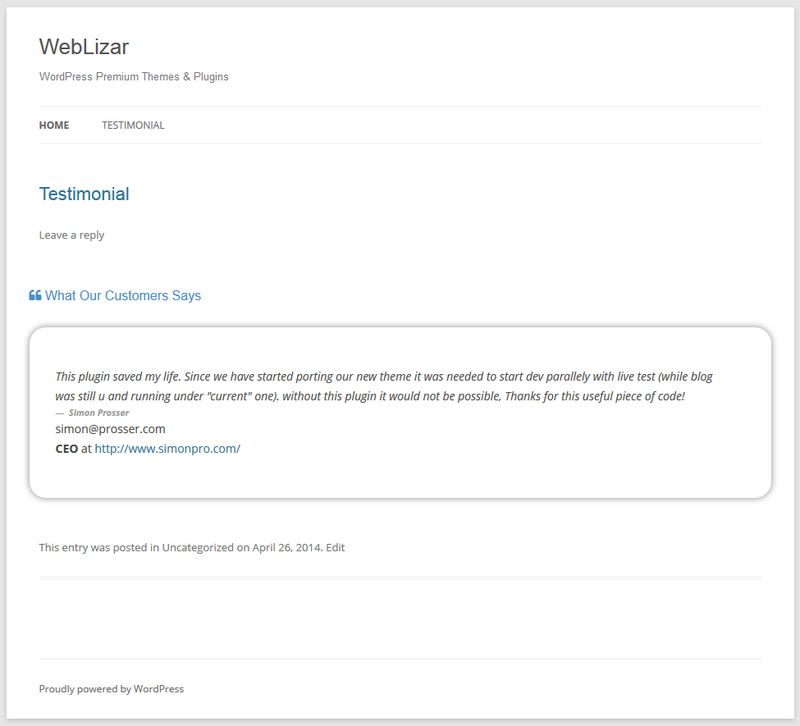 Testimonial by Weblizar plugin is very simple and easy plugin to manage customer testimonial about products services and support. 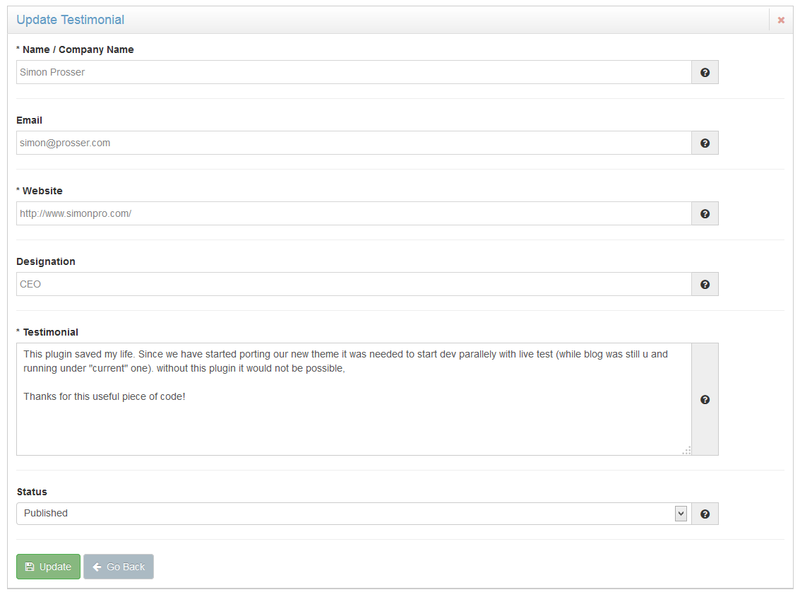 Using [WLT] shortcode you can publish customers testimonial in Page or Post. In any business or for any product, one of the most important items of feedback an owner or distributor can have is testimonial letters. How to Install “Testimonial By Weblizar” lite plugin? First Download plugin from from here. Upload the entire `testimonial-by-weblizar` folder to the `/wp-content/plugins/` directory. 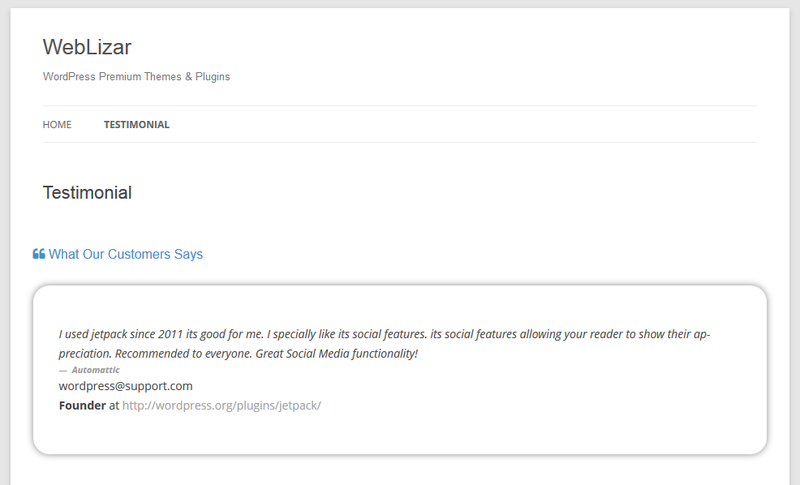 Please leave your comment & feedback about our testimonial plugin. There are many plugins for add testimonials at any site . But i think few of them are very much conducive to make the customers satisfy .